My 17 month old daughter has two great loves; well besides her Mama and food, her two favorite things are looking at books (a girl after my own heart) and singing songs. One of her favorite books lately is a simple board book of the children's song we've all heard before "The Wheels on the Bus". Tonight when I asked her to pick out a story she toddled over to her basket and pulled it out, climbed into my lap and started mumbling her version of "The Wheels on the Bus". Sure, the words sounded like a made up language, but the tune sounded pretty good for a 17 month old, if I do say so myself. Of course I am more than a little partial. The beauty of "The Wheels on the Bus" is that it's appropriate for many ages. My daughter loves it, my son actually knows the words and motions and it just so happens to be the poem of the week in my kindergarten class. No, I actually did not plan to teach my daughter "The Wheels on the Bus" because I was doing it at school. It just kind of happened that way. Plus she's been into this book for the past couple of weeks. It's funny how things in life sometimes coincide. Although some would argue there are no coincidences, but that's getting off topic a bit. My point is, it's fun to sing with kiddos of all ages. Typically kids like it, I know I grew up loving to learn new little songs and my kids love singing too. Plus it's always fun to put motions with songs and get kids moving. In my classroom we move beyond simply singing and acting out the song to pointing to the words in a song on a chart. Songs teach listening skills by having kids do a motion that goes with the words. They can build rhythm and rhyme through their singsong patterns. In addition, songs can help older kids develop concept of word by teaching them to match spoken words to print if the song is written out in a book or on a chart. Here's some research for you, according to Wikipedia, "The Wheels on the Bus" is an American folk song by an unknown author. I did a search for "The Wheels on the Bus" on Amazon and yielded 3,347 results. Wow! I'd say it's a pretty popular children's song. Here are the lyrics I use in my classroom and some of my favorite versions of "The Wheels on the Bus" in book form priced on Amazon.com. 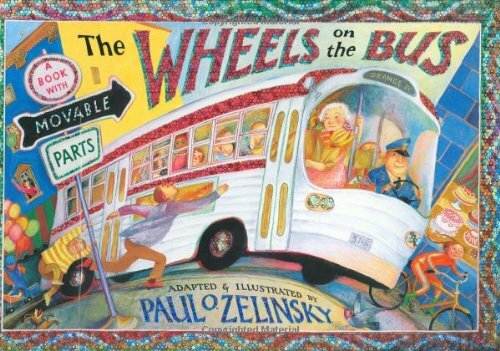 Mrs. Fields' Kindergarten Lyrics: "The Wheels on the Bus"
My Favorite Versions of "The Wheels on the Bus"
The Wheels on the Bus by Paul O. Zelinsky- This book has awesome illustrations and interactive parts. 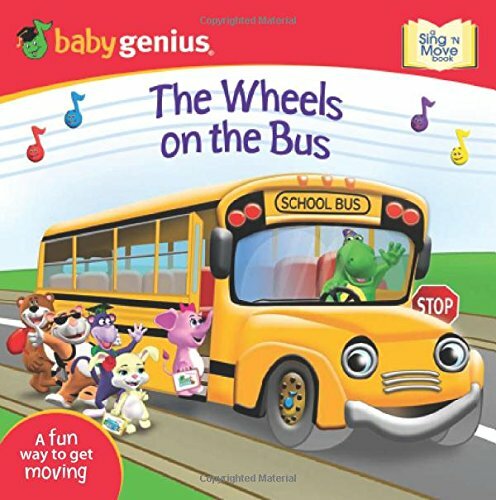 The Wheels on the Bus: Sing 'N Move Book by Baby Genius, board book - This is the one my daughter has and LOVES. The pictures are cute and it explains the motions for parents who may not know how to make them. 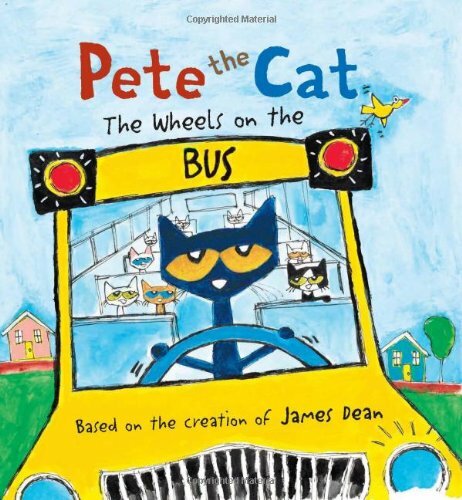 Pete the Cat: The Wheels on the Bus by James Dean, hardcover - The newest Pete the Cat book. If you are not familiar with Pete the Cat check out www.harpercollinschildrens.com/feature/petethecat/ . These books are very entertaining and have free song and video downloads to go along with the books. My kindergarteners and son love them! (Okay and maybe so do I). 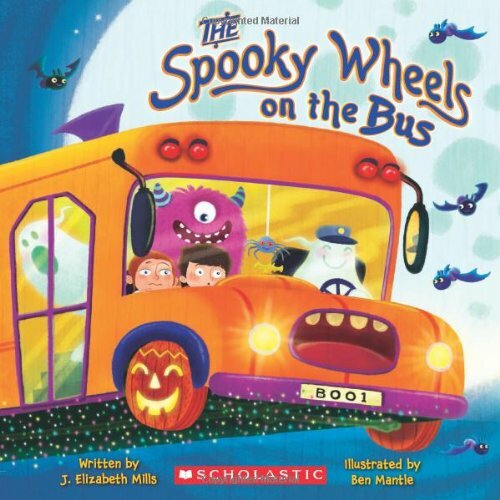 The Spooky Wheels on the Bus by J. Elizabeth Mills, paperback - This is a fun twist on the wheels on the bus with a Halloween theme.